248 x 68 Display White LED backlight. Next-generation IP conference phone designed for small to mid sized rooms. The Polycom® SoundStation® IP 6000 is an advanced IP conference phone that delivers superior performance for small to mid sized conference rooms. With advanced features, broad SIP interoperability and remarkable voice quality, the SoundStation® IP 6000 offers a price/performance breakthrough for SIP-enabled IP environments. 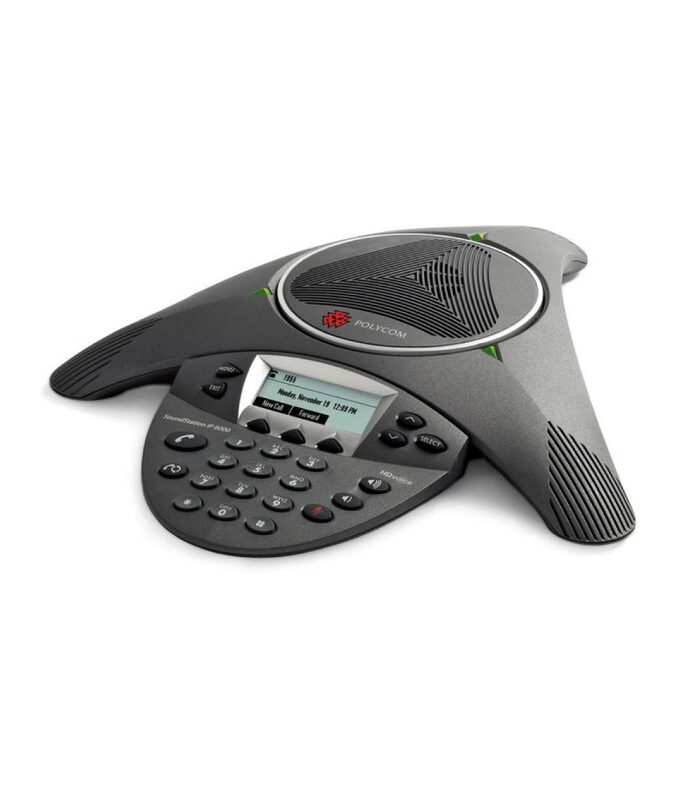 The Polycom® SoundStation® IP 6000 features Polycom® HD VoiceTM technology, boosting productivity and reducing listener fatigue by turning ordinary conference calls into crystal-clear interactive conversations. It delivers high-fidelity audio from 220 Hz to 14 kHz, capturing both the deeper lows and higher frequencies of the human voice for conference calls that sound as natural as being there. For all conference calls, the Polycom® SoundStation® IP 6000 delivers advanced audio performance that far exceeds previous generations of conference phones. From full-duplex technology that eliminates distracting drop-outs to the latest echo cancellation advancements, only Polycom® can deliver a conference phone experience with no compromises. Plus, Automatic Gain Control intelligently adjusts the microphone sensitivity based on where participants are seated in the conference room, making the conversations clearer for all participants. It also features technology that resists interference from mobile phones and other wireless devices, delivering clear communications without distractions.